This report estimates the size of the global feed premix market in terms of value. In order to cater to the demands for quality meat with increasing meat consumption across the globe, animal breeders are focusing to boost animal health and their nutritious diet. Feed premixes are consequently seen as products that can significantly boost the growth in return on investments from livestock. Thus, the feed premix market is gaining more global presence and acceptance among customers. The value of the feed premix market is projected to reach USD 10.26 billion by 2020 at a CAGR of 3.0% from 2015. In this report, the feed premixes market is segmented by ingredient type, livestock, and region. In 2014, Asia-Pacific accounted for the largest share of the global feed premix market in 2014. Feed premixes have been immense importance in developing countries such as China, India, Indonesia, Brazil, and Argentina. China and the U.S. were the leading markets for feed premixes in 2014 and the market is projected to grow at the highest CAGRs from 2015 to 2020. Leading players in the feed premix market are Koninklijke DSM N.V. (The Netherlands), Cargill, Incorporated (U.S.), Nutreco N.V. (The Netherlands), Archer Daniels Midland Company (U.S.), and InVivo Nutrition Et Sante Animales (France). Key strategies have been employed in developing markets of Latin America and Asia-Pacific through the expansion of manufacturing plant capacities to meet the growing feed premix demand. Instead of a product-based portfolio, feed formulators have been specializing themselves in offering innovative feed premix ingredients according to each customer-specific requirements. Our current competitive scenario of feed premix market provides valuable inputs that can validate the strategic decisions to be employed in the future by feed premix manufacturers. Companies engaged in the development and marketing of feed premix portfolio comprising vitamins, minerals, and amino acids can avail a concrete view about the market structure in key countries. The report projects the analytical and qualitative requirements for important stakeholders involved in feed premix market such as compound feed manufacturers & traders, feed formulators, specialty ingredient manufacturers, and pet food industries. The ingredient type segment is further classified as vitamins, minerals, amino acids, antibiotics, and other ingredients. These organic compounds function as parts of enzyme systems essential for the efficient functioning of metabolic activities which in turn can help in the muscle growth and immune development in the livestock. The market for vitamins segment is estimated to be the largest in 2014, and is projected to grow with the increasing demand from large-scale animal husbandries. The feed premix market comprises five livestock types that include poultry, ruminants, swine, aquatic animals, and other animals (pet animals, birds, and reptiles). The demand for feed premix gained much demand from poultry sector in 2014. 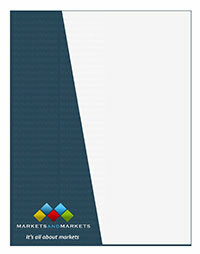 From an insightful perspective, this research report has focused on various levels of analysis?industry analysis, market share analysis of top players, company profiles, which together comprise and discuss the basic views on the competitive landscape, emerging and high growth segments of the global feed premix market, high-growth regions, countries, and their respective regulatory policies, government initiatives, drivers, restraints, and opportunities.